It's Grymn Out There. 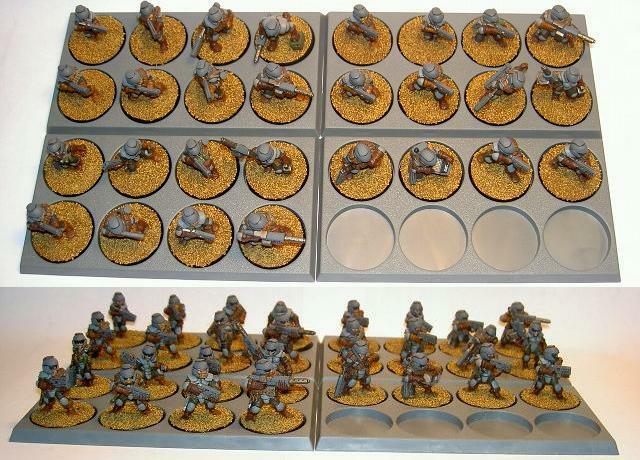 : First platoon painted. The next stage in the process will be to apply a coat of gloss varnish. That will provide a protective coating and will make applying decals easier, helping them to blend in better. I will varnish these before I start the vehicles so that I get the boring bit out of the way and have a 'prize' when I am finished (vehicles to sort out). 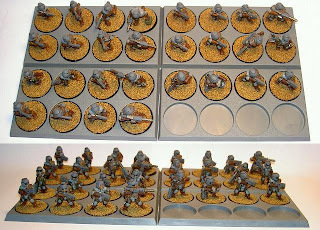 Speaking of decals, I am still waiting for most of them to arrive so I will continue to paint the troops and vehicles until I am in a position to add markings. I think that the addition of a bit of stowage, comms equipment and an SMG would make these perfect out-riders for the recon sections. 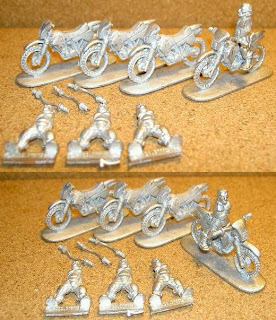 The bikes are from Eureka Miniatures 'Boilersuit Apes' range and the riders are from Hasslefree's Grymn range and are GUSTAV without his rail-gun. Obviously, I have a lot of work to do on these but I think the end product will justify the effort. The recon platoon will form part of a support company along side formations like heavy infantry and air assault units. Ooooh....Looking really good now mate!!!! You really do like conversions? That is one heck of a conversion job on those bikes and riders!!! It's odd that you have to look so far a field to find those bikes. And yeah, you've set yourself a lot of work - but you're like that. 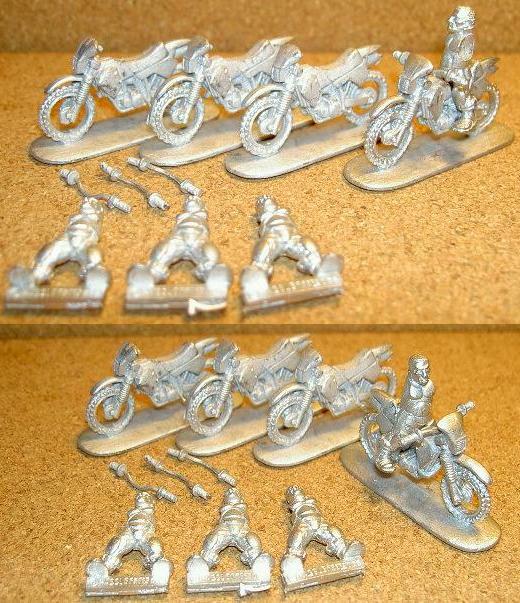 I got the four bikes from Salute a couple of years ago :). Just discovered your blog and I have to say that your material, concepts and conversions are very inspirational! Really like the bikes a good idea. They are a little bit big...but with a bit of trimming and some clever camera angles, I'm sure that they will look OK in the end :).